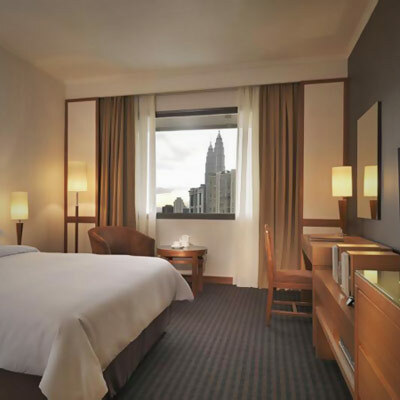 Traders Hotel by Shangri-La is located within the Kuala Lumpur City Centre, next to the KL Convention Centre, and is about 7-min walk or a 3-min buggy ride to the Suria KLCC. 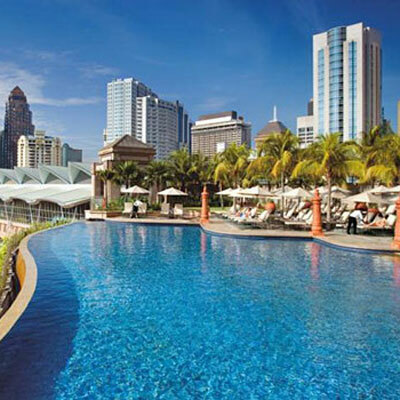 Traders Hotel KL is famed for its excellent service and attentive staff. The rooms are tastefully furnished and the bathrooms are quite trendy and nicely laid out. Free internet access are avaible in all rooms and if you really need help, the business centre is open 24/7. A strong indication that this hotel is targeting business travellers more than the leisure tourists. Traders Hotel is known for its Gobo Upstairs Lounge and Grill which serves some of the best steaks in town and has great view of the Petronas Twin Tower. Generally, those who stayed at the Traders Kuala Lumpur had good experience and would recommend the hotel to a friend. 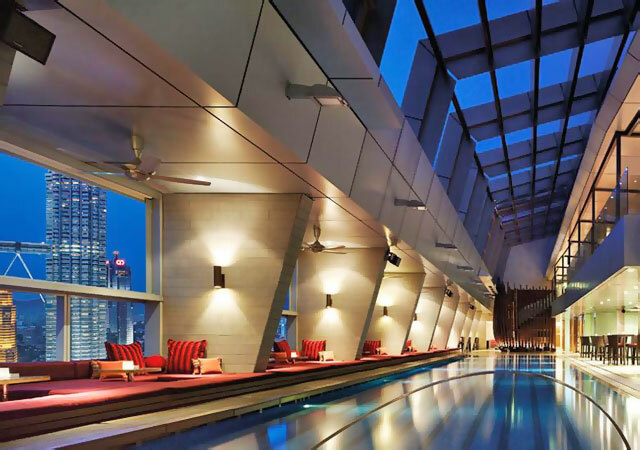 The skybar is rated highly and the buggy service to Petronas Twin Towers is impressive. Hotel is in the heart of the city & accessing to different shopping centers was such a breeze. The breakfast spread was wide & fresh. Service staffs were non-stop in ensuring my stay was worthwhile. As a bonus, the hotel provided a buggy ride to & fro to KLCC. Skybar is a must to visit for night owls. The view from the Skybar is breathless. Wonderful hotel with spacious, clean rooms. The service was also top notch. We had a great view of the Petronas Towers from our room… Also, the train station is right there, so its easy to get around KL. To get the best rates, make your hotel booking at least 30 days in advance. The online booking room rates start from around SGD130. To find out the latest Traders Hotel KL room rates for your dates of stay, visit Agoda.com or Booking.com.